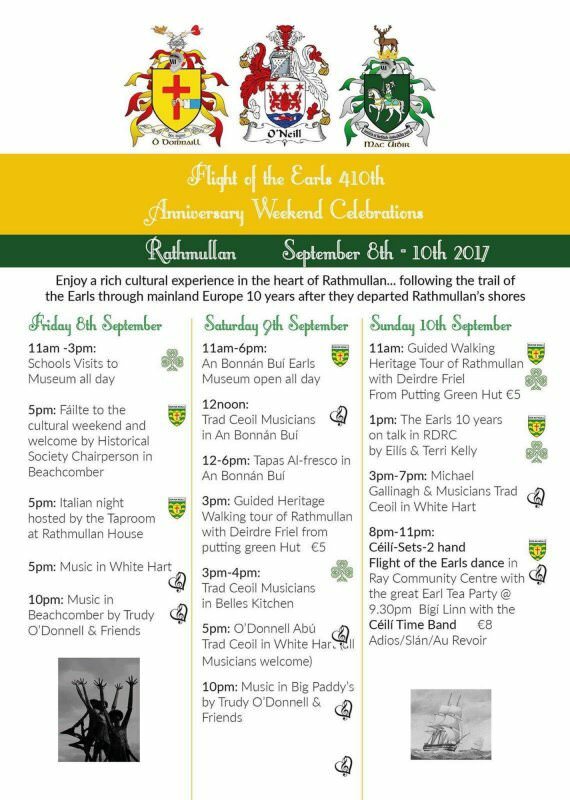 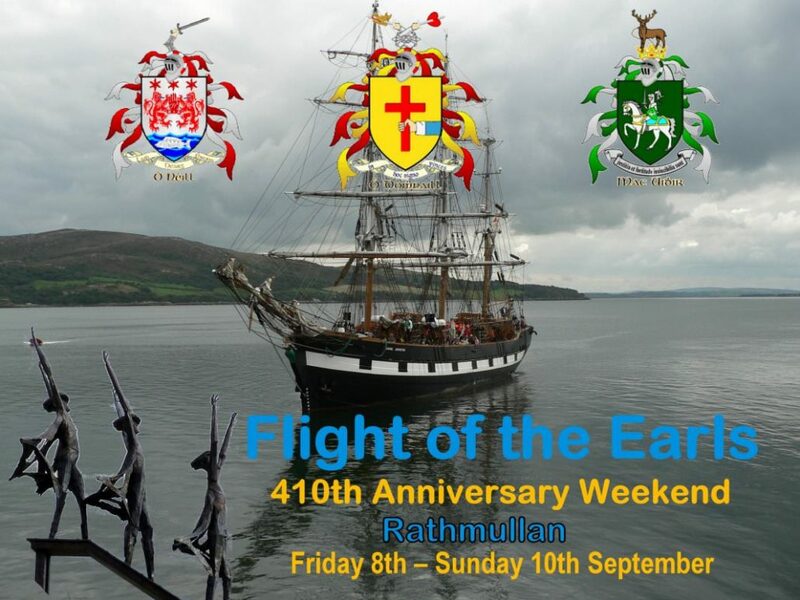 The anniversary weekend will feature traditional and folk music in the local pubs and cafes, historical tours of Rathmullan, Spanish and Italian themed food events. 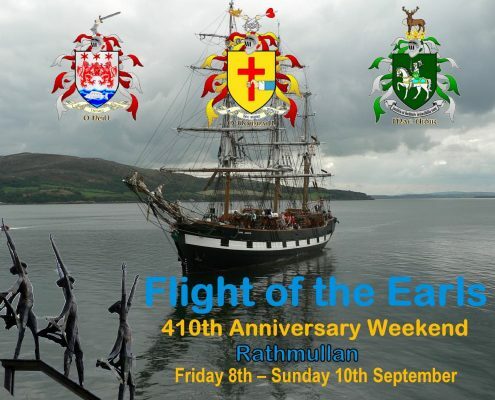 There will be a talk focusing on the Earls 10 years on from their departure from Rathmullan. 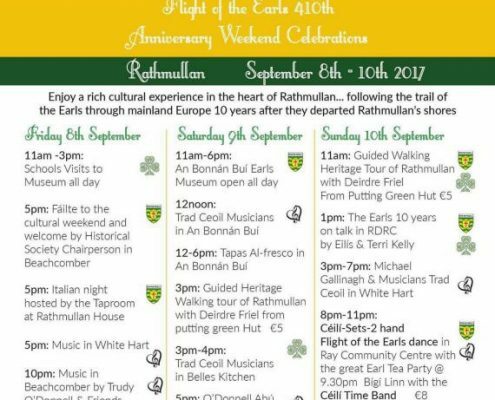 The Flight of the Earls Exhibition will be open upstairs at An Bonnan Bui Restaurant. 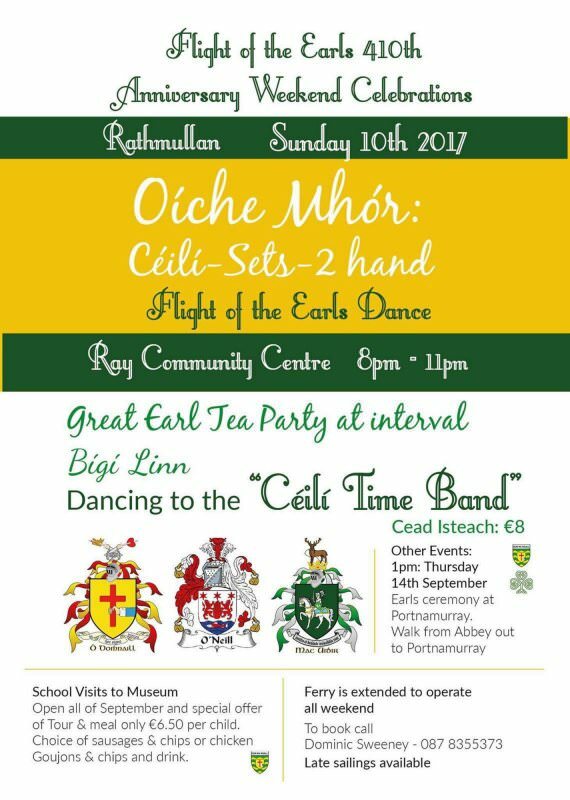 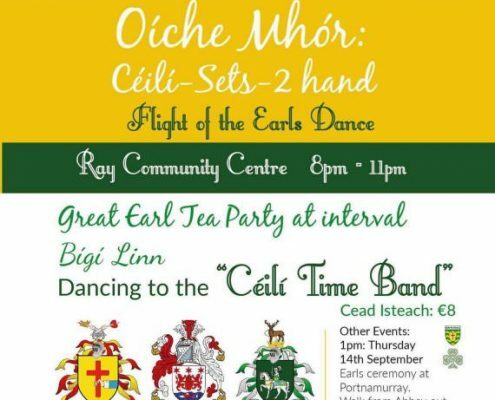 The weekend will finish on Sunday Night with a Ceili Dance and the Great Earls Tea Party in the Ray Community Centre.